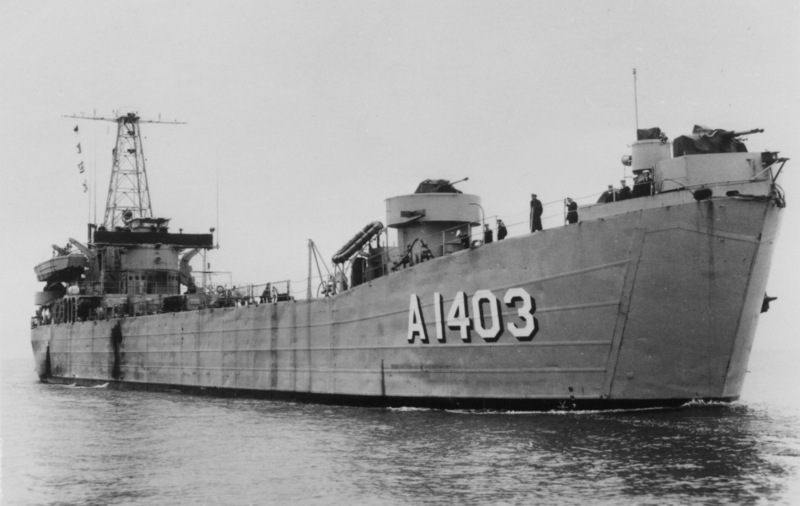 Laid down, 25 August 1944, at Jeffersonville Boat and Machine Co., Jeffersonville, IN. 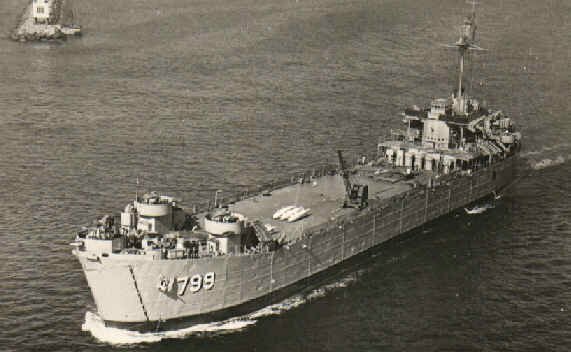 646k USS LST-799 under way, date and location unknown. 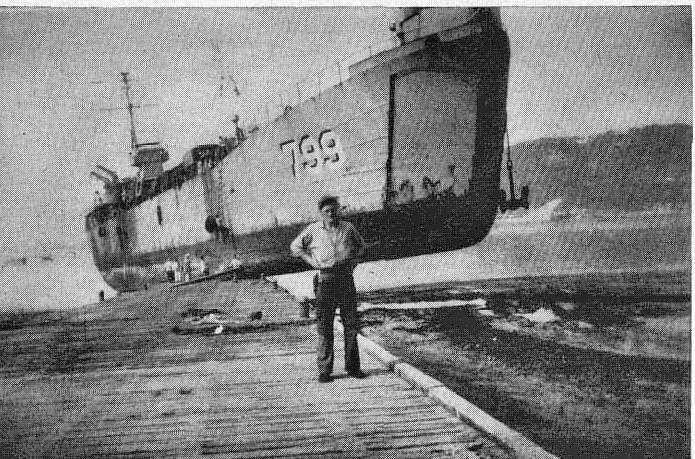 138k USS LST-799 on the pier at Inchon, South Korea in 1950, the result of miscalculating the extreme ebb and flow of the tides in that port. US Navy photo from "All Hands" magazine, September 1951. Joe Radigan MACM USN Ret. 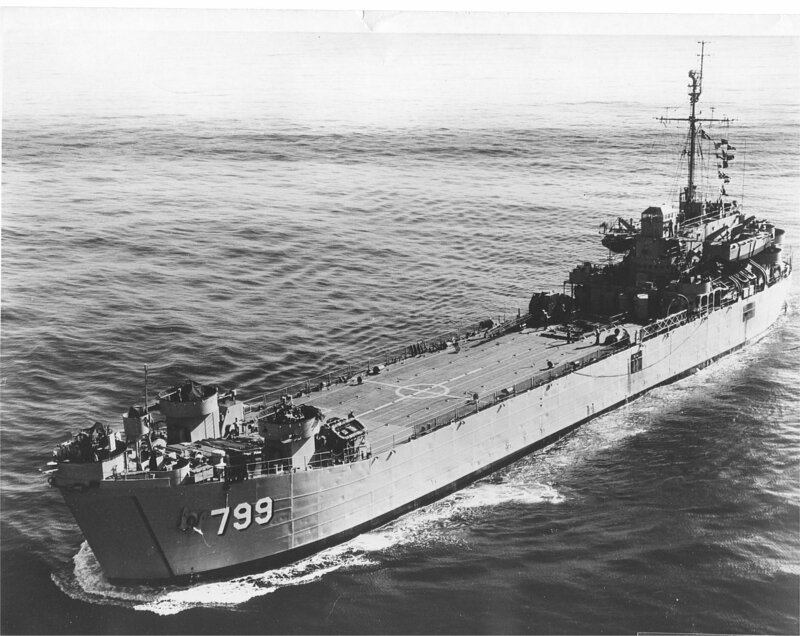 106k USS LST-799 under way in the Sea of Japan enroute to Korea, date unknown. 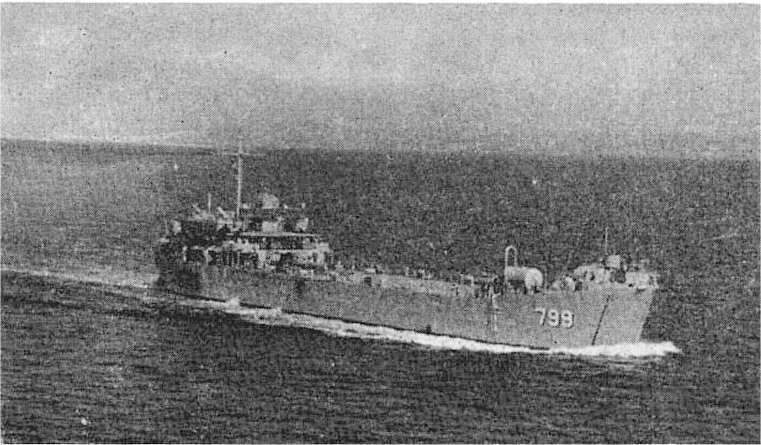 US Navy photo from "All Hands" magazine, November 1952. Joe Radigan MACM USN Ret. 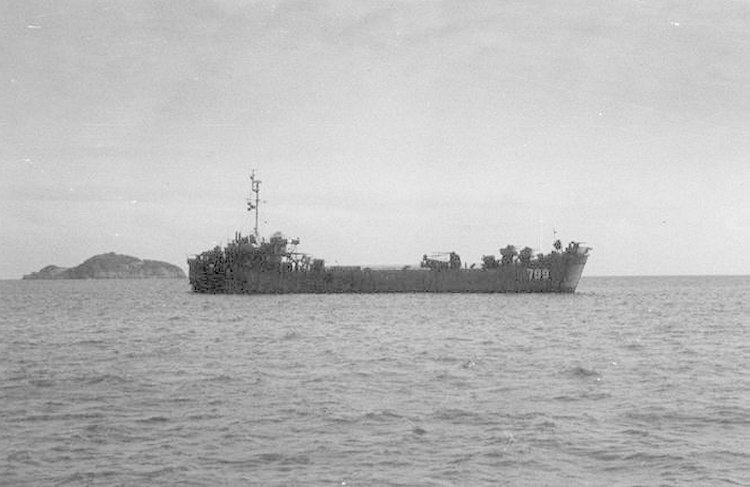 51k USS Greer County (LST-799) under way, date and location unknown. US Navy photo from DANFS Joe Radigan MACM USN Ret. 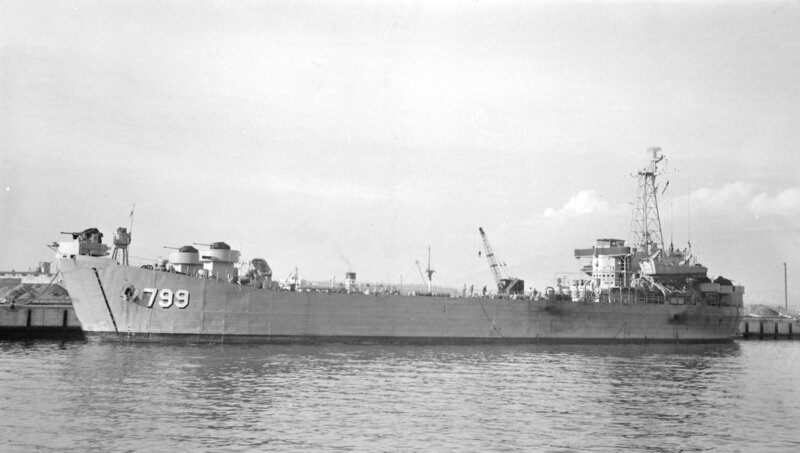 172k USS Greer County (LST-799) docked at Vancouver BC, 4 December 1959.